School Education Department – BE 2018-19 – Accorded Administrative Sanction for an amount of Rs.2,31,00,000/- (Rupees Two Crores Thirty One Lakhs Only) as Non recurring Grant pertains to FY 2017-18 towards Innovation fund of Secondary Education under RMSA- Orders - Issued. 1. From the Commissioner of School Education & Ex-Officio Project Director, RMSA,A.P.,Lr.Rc.No.951/RMSA/2017-2, dt.04.05.2018. 2. G.O.Rt.No.1435, Finance (FMU. Education) Dept, dt.14.7.2018. 3. G.O.Rt.No.191, School Education (Prog.I) Department, dt. 18/7/2018. 4. From the Commissioner of School Education & Ex-Officio Project Director, RMSA, A.P.,Lr.Rc.No.951/RMSA/2017-1,dt.04.05.2018. 5. G.O.Rt.No.1661, Finance (FMU. Education) Dept, dt.21.08.2018. In the reference 4th read above, the Commissioner of School Education, A.P has requested to sanction an amount of Rs.231.00 Lakhs (Rupees Two Crore and Thirty One Lakh only) (Rs.138.60 Lakhs as Central share and Rs.92.40 Lakhs) as Non recurring Grant in the current financial year 2018-19 towards Innovation fund of Secondary Education under Integrated RMSA and also for permission to draw and adjust the said amount to the SB Account of APES (RMSA) maintained in Nationalized Bank. 2. In the reference 5th read above, the Finance FMU (Edn) Dept. 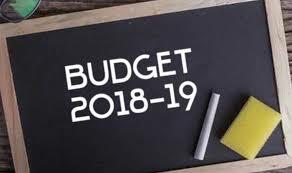 have issued Budget Release Order for an amount of Rs.2,31,00,000/- (Rupees Two Crores Thirty One Lakhs Only) (Rs.138.60 Lakhs as Central share and Rs.92.40 Lakhs) from the BE provision 2018-19 as Non recurring Grant pertains to FY 2017-18 under RMSA duly permitting to draw and adjust the amount to the SB Account of APES (RMSA) maintained in Nationalized Bank. 4. The drawal and disbursement of the budget shall be as indicated in the G.O. 5th read above. 5. The Commissioner of School Education, Andhra Pradesh, Vijayawada shall take further necessary action accordingly and submit utilization certificate.